Clothbound, 9 x 7.5 in. / 95 pgs / 50 color / 10 bw. 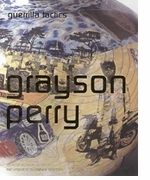 Text by Grayson Perry, Blake Morrison. 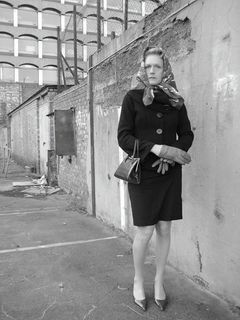 For more than a year, the British transvestite potter Grayson Perry trawled the British Arts Council Collections holdings to present an alternative view of British art--one that reassesses the relationship between past and present and dissolves the boundaries between the radical, the conservative and the radically conservative. Unsurprisingly for an artist who has always positioned himself on the margins of the art world, Perry has found himself drawn to work that precedes the recent chic of British art, work that conveys a sense of tradition and modest accomplishment. Routine assessments of postwar British art tend to pursue familiar trajectories, but Unpopular Culture seeks an alternative, one that moves away from dates and movements towards a more subtle investigation of the preoccupations that permeate the British art ofthis period. Edited by Marjan Boot. Essays by Louisa Buck and Andrew Wilson. Foreword by Rudi Fuchs. FORMAT: Clothbound, 9 x 7.5 in. / 95 pgs / 50 color / 10 b&w.